The city’s landscape is continuous transformation – forming a distinct pattern by placing various buildings together. Documenting this motion of growth will be achieved by abstracting the density of the downtown core. Concentrating on the vertical landscape, each sequence explores the nuances of repetitive components individually and as a whole. 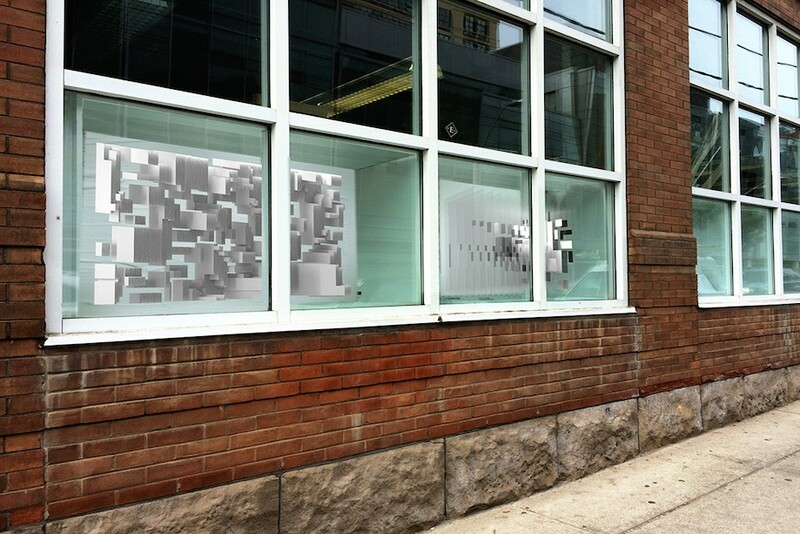 Each unique 2-dimensional panel combined, will create a visually complex 3-dimensional study of Toronto. Horizontal-section of the buildings will be layered onto the translucent panels, and these frames will be positioned sequentially to reveal the range in building heights. 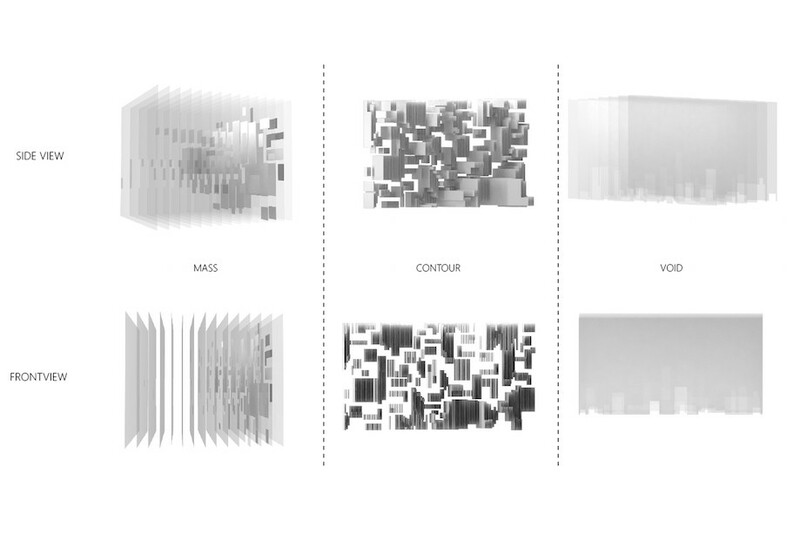 This series will evoke the city’s skyscraper evolution into three narratives: mass, voids, and contours. The mass will be presented through contrast of opacity and transparency. Voids will create a visual representation of the air surrounding the structures. The contours will show the outline of the buildings. Working with transparent materials, such as paper, vellum, and plexiglass, this materiality will be used to explore each study of the downtown core. By scaling the city’s vertical landscape, it will become visually approachable. The vertical concrete landscape of our city will be turned into a pattern of abstract shapes – representing an undulating, dynamic and variegated grain of the core. 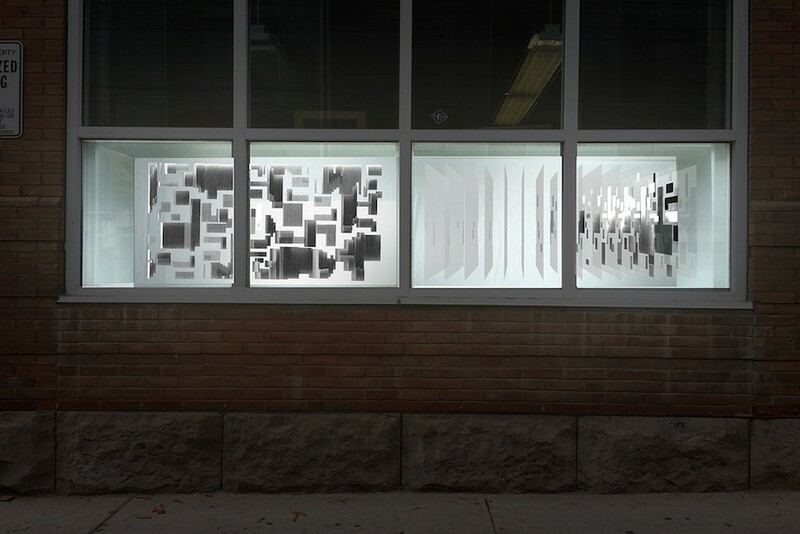 This installation will be a visual presentation of a research synthesis of the growth of the Toronto figure ground, revealing that the urban landscape, although an outcome of mass production, is quite varied and multifaceted.